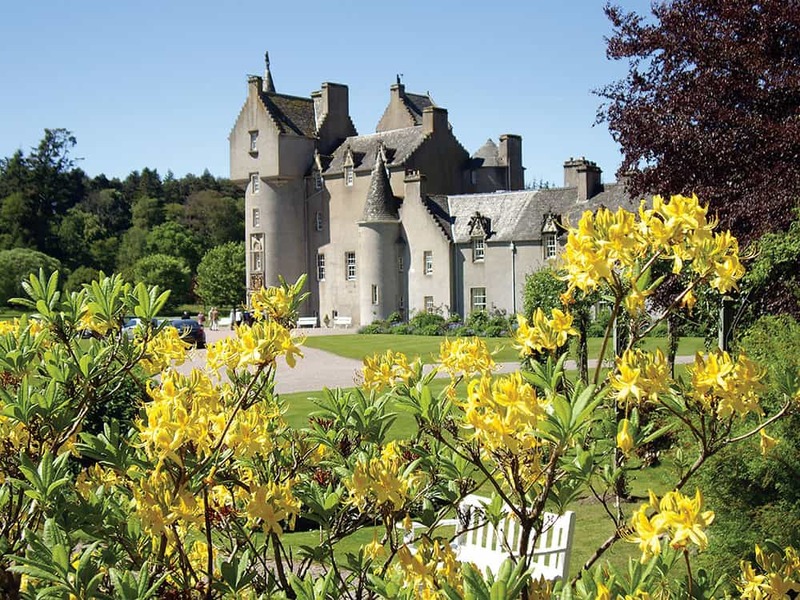 Do come and explore and enjoy five hundred years of Highland history, acres of formal gardens, woodlands and riverside walks, the children’s Playground, Picnic Area, Tearoom and Gift Shop…and some award-winning loos! 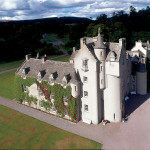 The links to the right will take you to all the information about the Castle and Estate that you could wish. 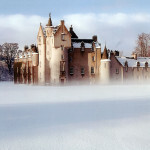 If you have any questions or comments, do get in touch with the team via the contact page. 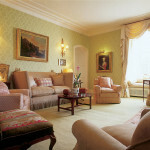 And, of course, you can keep up with all the latest news and developments at Ballindalloch on our Facebook page. 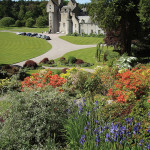 Planning your day? 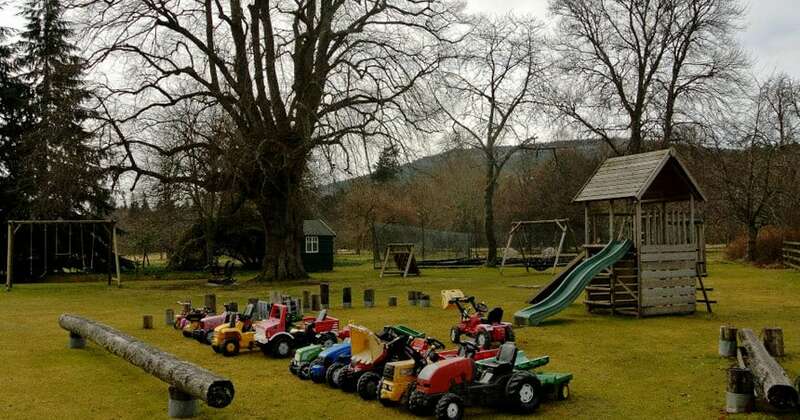 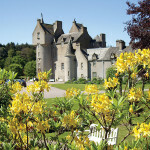 There is plenty to do at Ballindalloch, both inside and out. 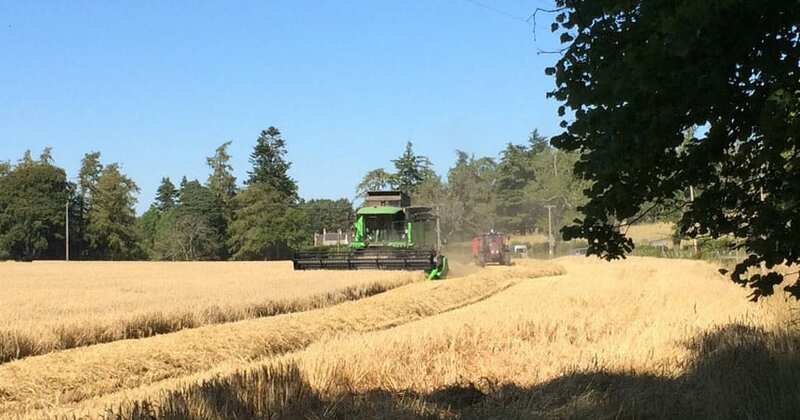 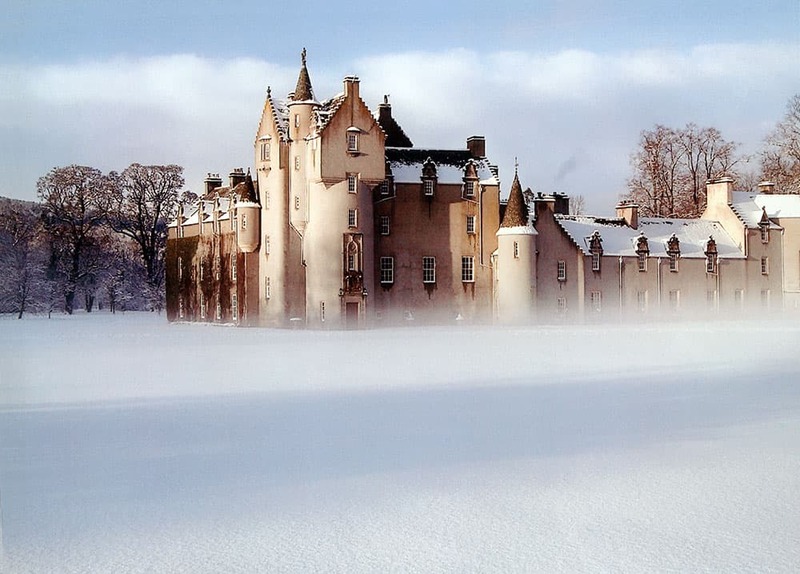 While the rule of thumb in the Highlands is to prepare for the four seasons to arrive in one day, have a look the Met Office forecast for Ballindalloch to check what the likely theme is going to be…! 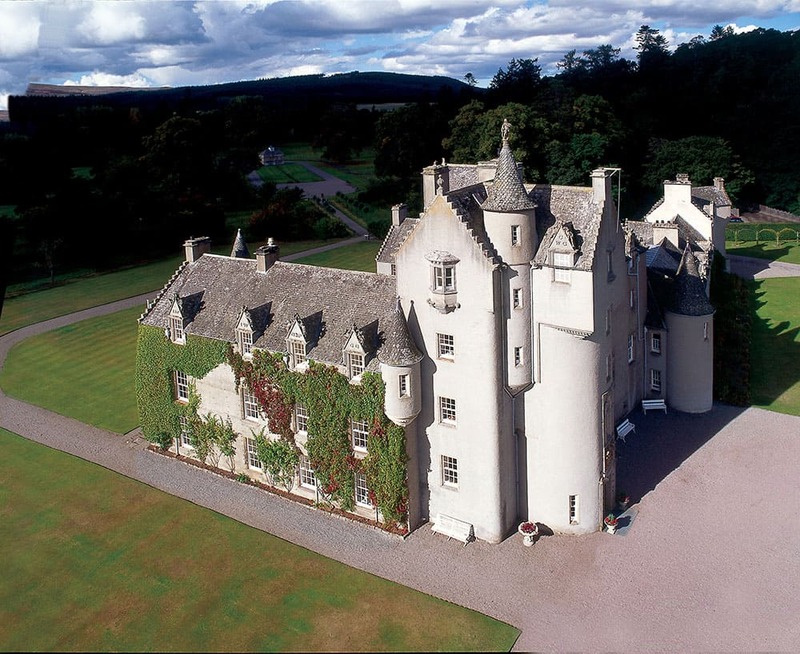 Ballindalloch Castle has been the home of the Macpherson-Grants since the Sixteenth Century and today is one of the finest surviving examples of a classic Scottish baronial castle. 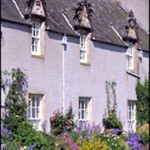 It is also home for me and my young family, and so regularly rings to sounds somewhat less usual in heritage properties! 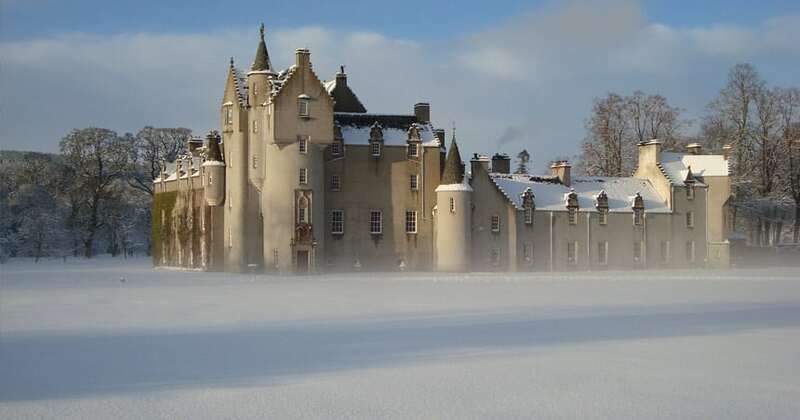 We hope that many people will be tempted to visit the Castle so do please explore the website which will give you some idea of the history of the place and of the Macpherson-Grant family. 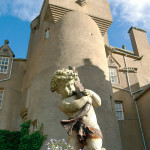 If you have visited the Castle, the website will hopefully be a place you can return for more detail on what you have seen. 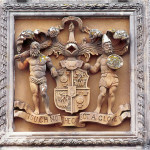 Over the entrance to Ballindalloch Castle stands the Macpherson-Grant arms, finely cut in freestone, inscribed with Ye Lord shall preserve thy going out and thy coming in. 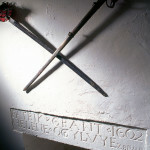 Either side of the inscription is carved Erected 1546 and the codicil Restored 1850. 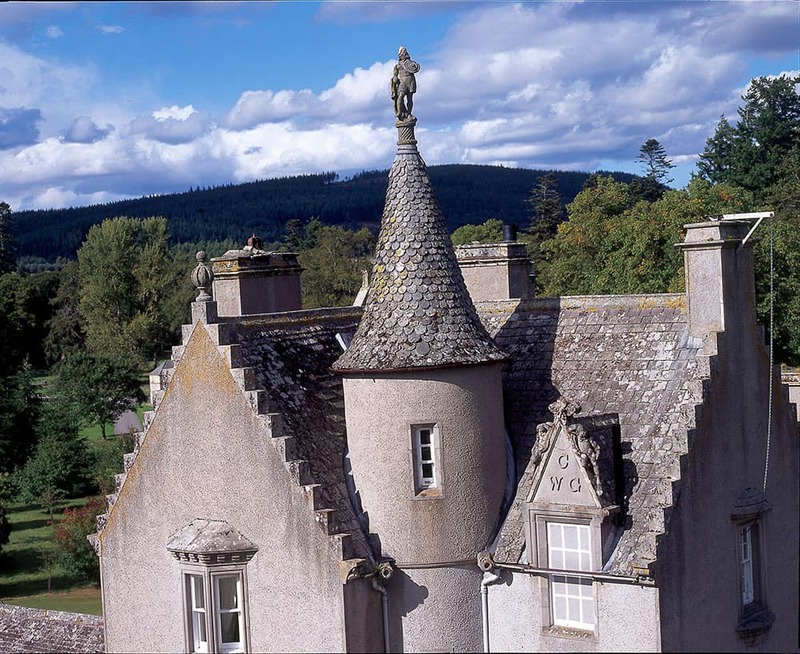 These two eras, more so than any other, have left their mark upon the architectural style of Ballindalloch Castle: a tasteful blending of middle-ages fortification and Victorian gentrification that brings to mind a romantic chateau from the pages of a children’s fairy-tale. 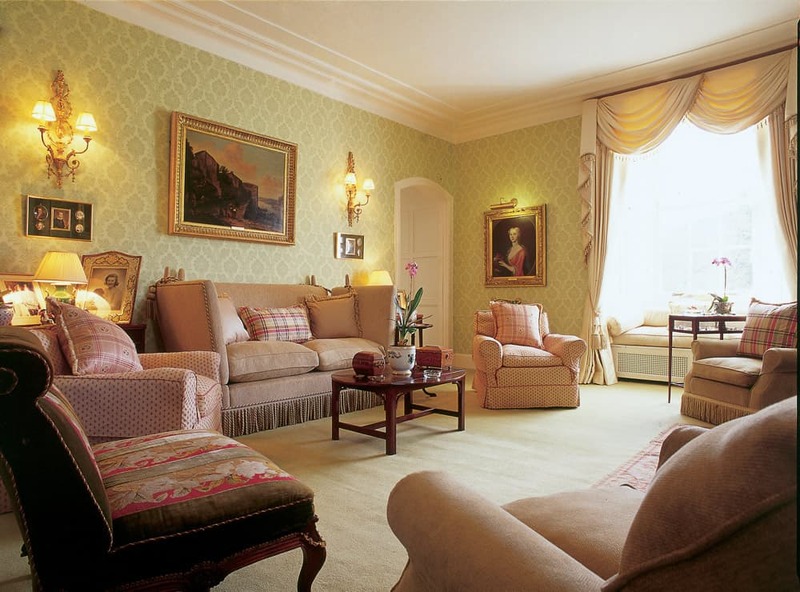 The furnishings to be found within, however, are broader in their influences and reflect the wide interests and extensive travels of the Macpherson-Grant family from the 18th Century to the present day. 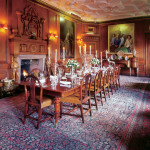 The largest and arguably the grandest room in the Castle is the Dining Room. 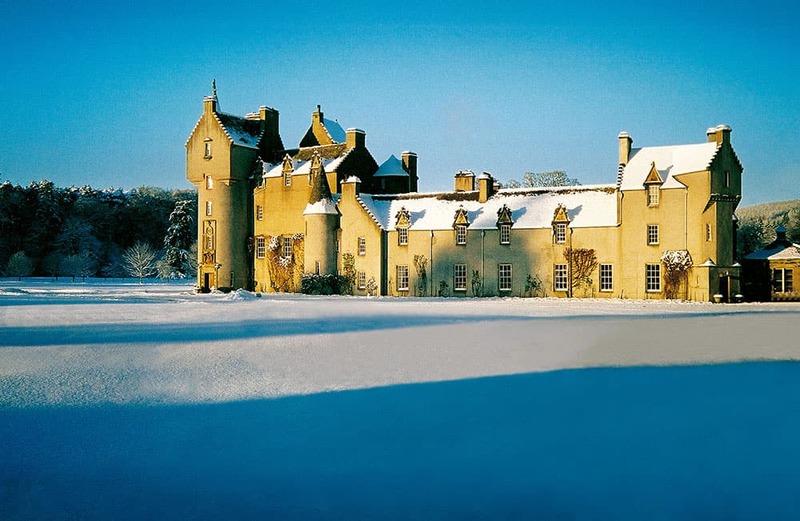 Entered by a wide staircase from the Hallway, flanked by large oak balustrades, this was once the Great Hall; the beating heart of the original 16th Century fortress, whose stone floors once felt the tread of clan chiefs and emissaries of the crown. 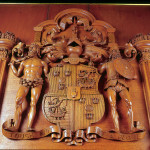 Positioned centrally, there stands a magnificent fireplace, an original feature, above which hangs the coat of arms of the Macphersons and the Grants. 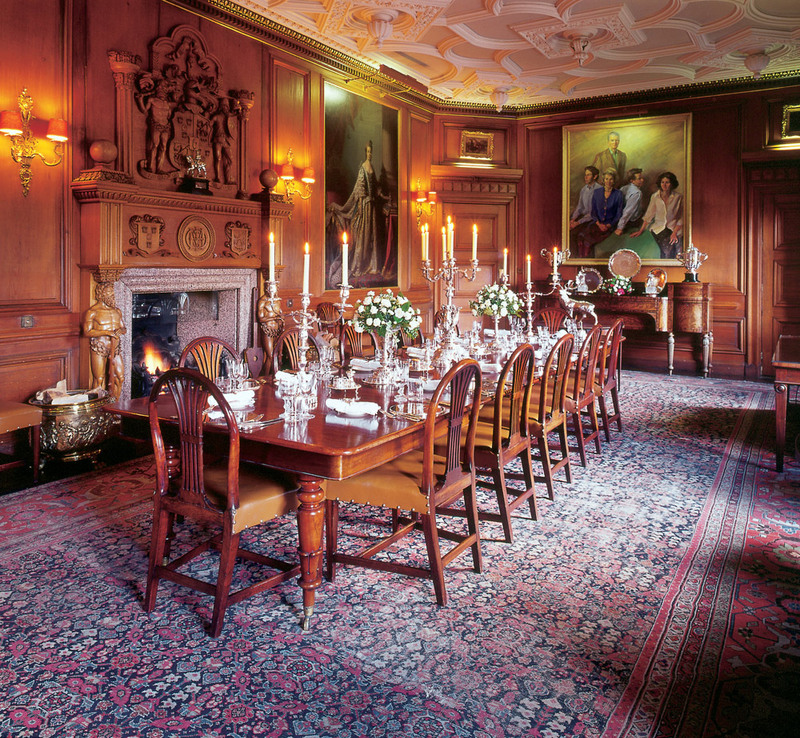 The walls of the Dining Room are decorated entirely in American pine, part of the 1840s restoration commissioned by the 2nd Baronet, Sir John Macpherson-Grant, and carried out by Moray architect Thomas Mackenzie. 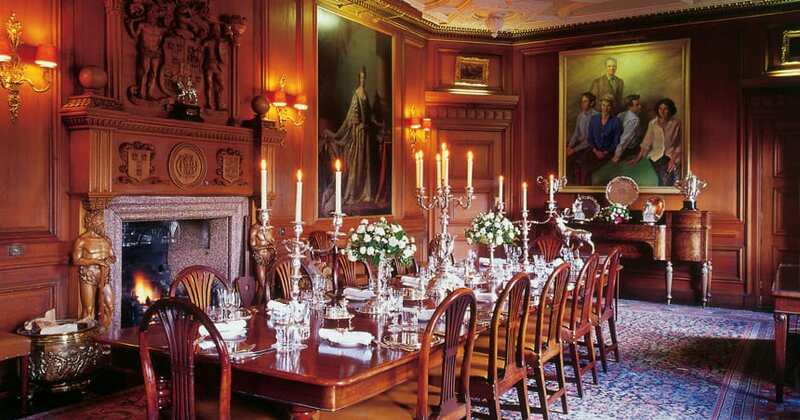 Most notable amongst the original artworks that adorn the Dining Room are portraits of King George III and Queen Charlotte by the famous Georgian royal artist Allan Ramsay, presented to General James Grant in recognition of his military service in the American Wars of Independence. 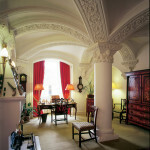 The Hallway itself, from which entrance to the Castle is gained, boasts a grand staircase and unusual umbrella and fan vaulting, designed by Thomas MacKenzie as part of the 19th Century restoration. 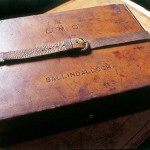 A fine collection of military memorabilia is housed here, including a display of Scottish dirks (or daggers), a compendium of 18th Century pistols and a naval dress sword belonging to Guy Macpherson-Grant’s grandfather, who was 2nd Sea Lord and aide-de-camp to Her Majesty the Queen between 1953 and 1955. 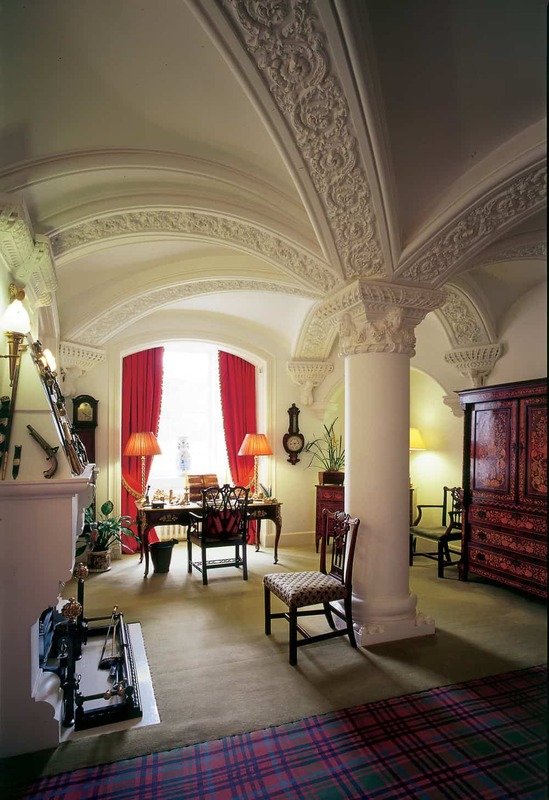 Visitors to the Hallway can also view a delightful collection of china displayed in a Sheraton corner cupboard dating from the 1820s, a fine Bureau Plat of Louis Quinze period and a set of Scottish chairs made in the Chinese Chippendale style. 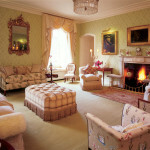 In the north west wing of the Castle can be found the Drawing Room, constructed along with the south wing in the 1770s at the behest of General James Grant. Much of the furniture here is contemporaneous with the room, pride of place being taken by an oval Sheraton table and beautiful gilt mirror which date from the 1750s. 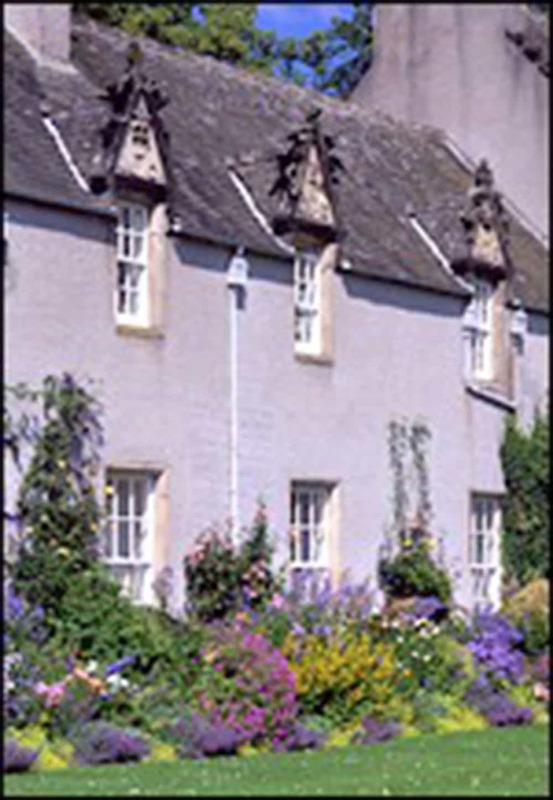 Next door is the Laird’s Smoking Room, where in times past the Laird and his gentlemen guests would retire after dinner for cigars and a wee dram. 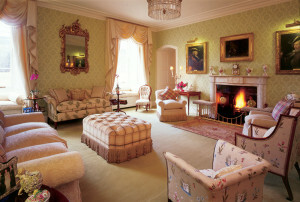 The nice collection of china displayed here dates from the 1770s. 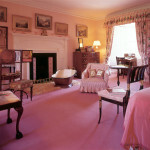 Lady Macpherson-Grant’s Bedroom is also situated in the north west wing, but the decor here reflects the influences of later centuries. 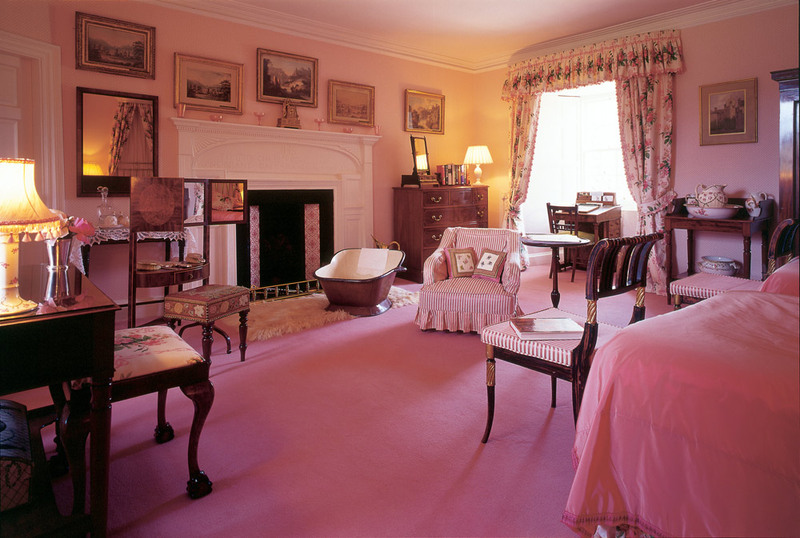 Do not be concerned with knocking before entering, for the room, though once her ladyship’s bedroom, is no longer so! 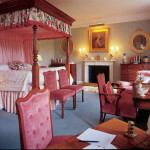 The centrepiece of the bedroom is a grand four-poster bed, manufactured in Scotland from cherry wood in the 1860s. 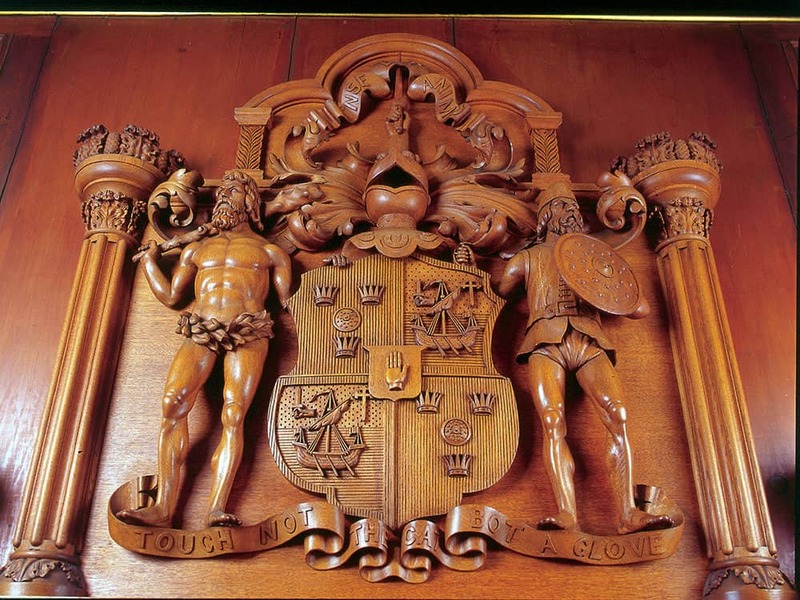 The Library, which was also panelled and refurbished as part of the Mackenzie restoration, is home to the Macpherson-Grant’s private collection of original 18th and 19th Century European literature: a collection which runs to some 2,500 volumes. 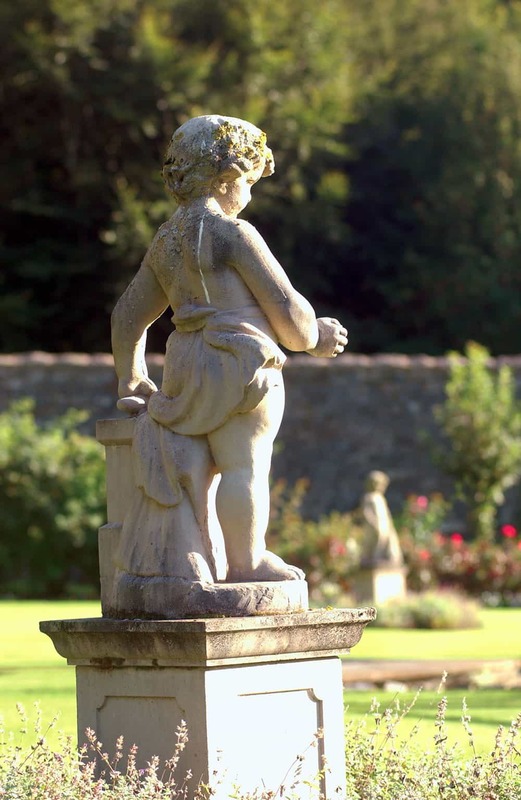 This valuable archive was begun by Colonel William Grant who was a keen collector of early 18th Century classic English and French literature. 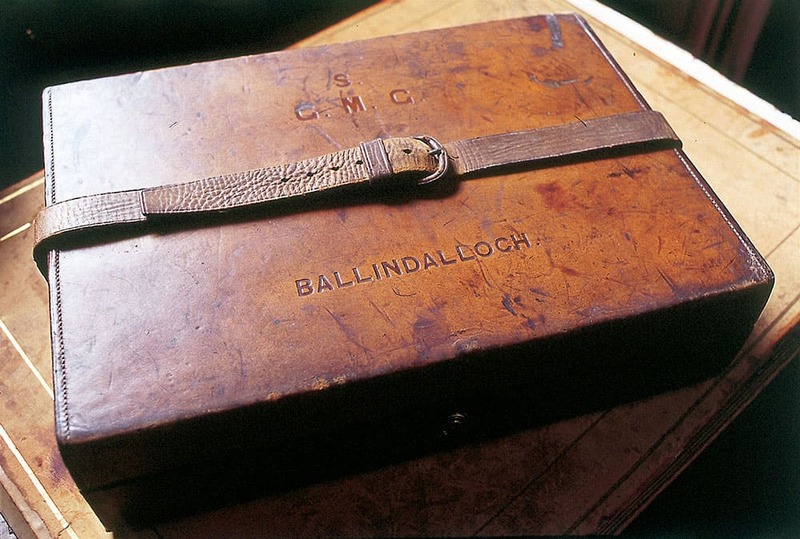 Sharing the Colonel’s antiquarian sensibilities, the 3rd Baronet, Sir John Macpherson-Grant, added many historic Spanish texts to the collection whilst serving as Secretary to the Legation in Lisbon in 1850. 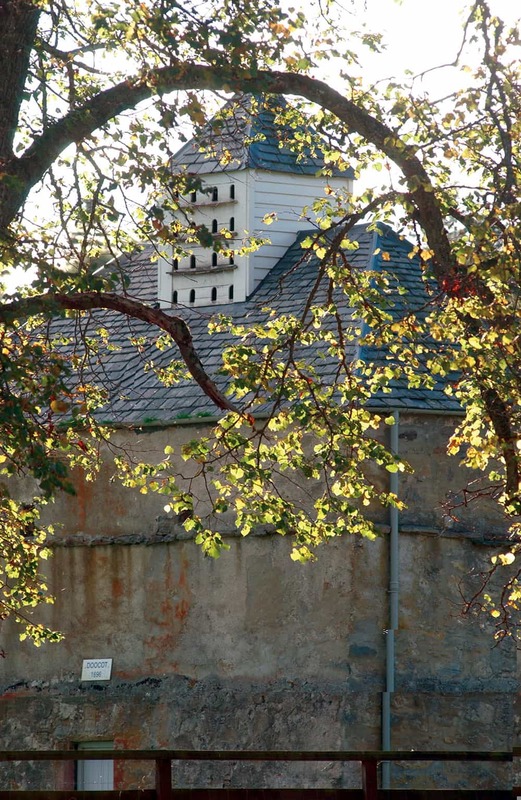 At the fulcrum of the two wings of the Castle stands a tower, constructed in the early 1700s. 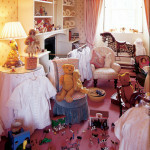 Here, on the first floor, can be found the Nursery. 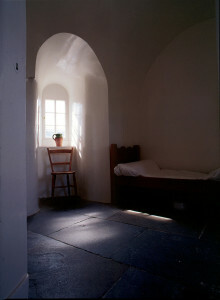 This rather remote and austere room was, in reality, part of the servant’s quarters, but it is used today to illustrate the experience of growing up at Ballindalloch Castle throughout the ages. 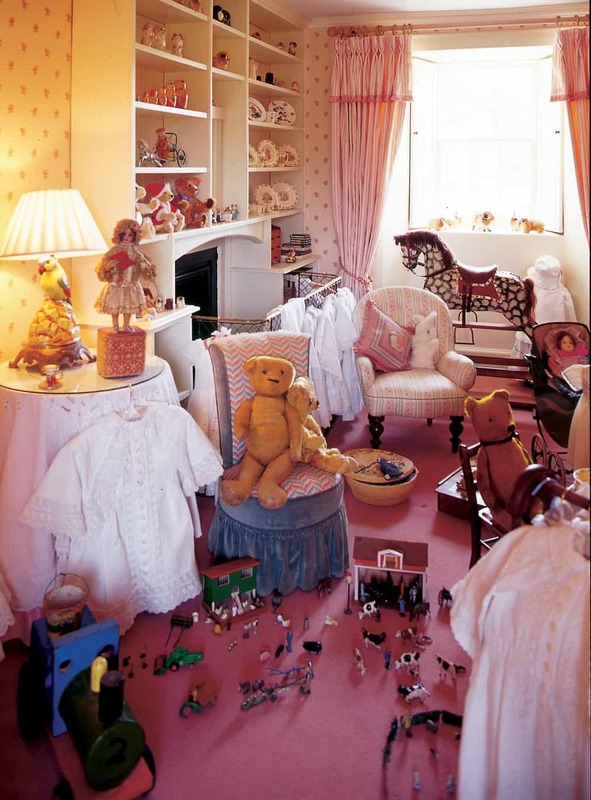 The furnishings here include a beautiful inlaid Georgian highchair dating from the 1770s, a cane and mahogany cradle from the 1830s, a collection of antique teddy-bears and a dolls’ house made by Mr. Oliver Russell, the current Laird’s father, for his daughter Lucy in 1975. 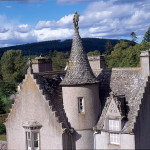 An ascent of the adjoining and steeply spiralling staircase finds the Highland Tower; a caphouse which sits atop the original tower and once served as a watchtower. In later years this lofty room, with its cold stone floor and small arch window, was part of the servants’ quarters. 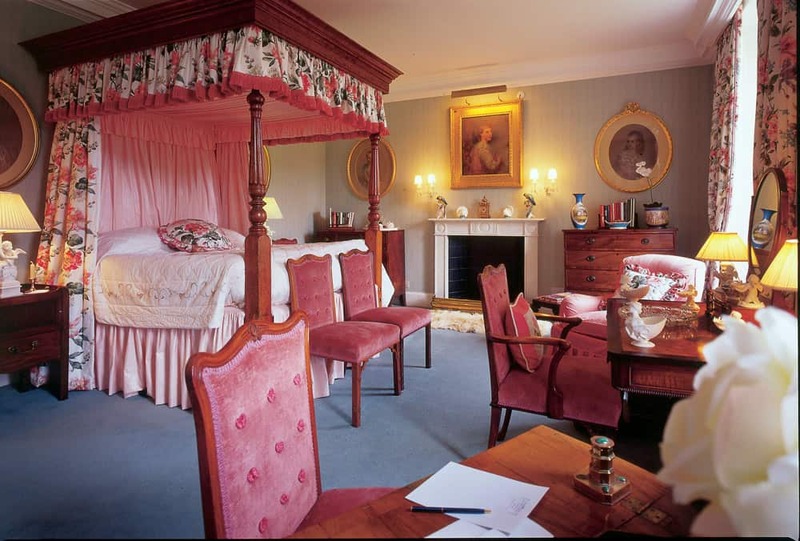 Today it is preserved as such, complete with a simple wooden bed, side table and washing jug; a salient reminder, amidst all the grandeur, that life for the domestic servants of a great house was often ‘a life apart’. 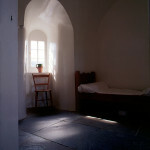 Beneath the stone floors of the original 16th Century Castle there lies a dungeon. 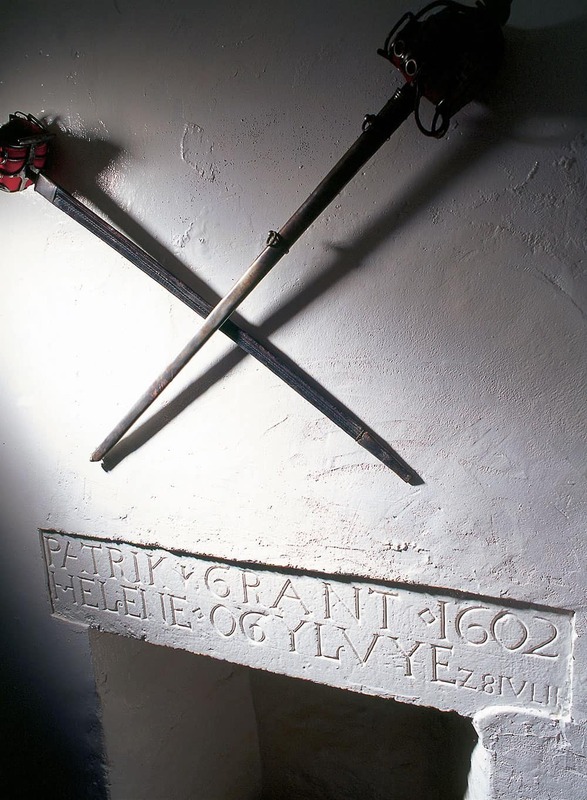 Here, where once the enemies of the clan Grant would reside, these past three centuries the wine has been kept. 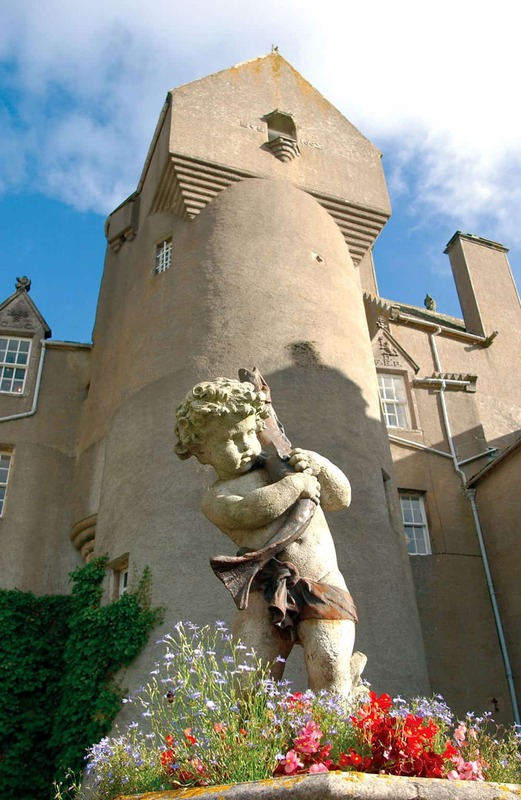 It was once the favourite room of General James Grant, whose ghost is said to walk the corridors of Ballindalloch Castle by night, his spectral journey a vain attempt to rediscover his beloved cellar. 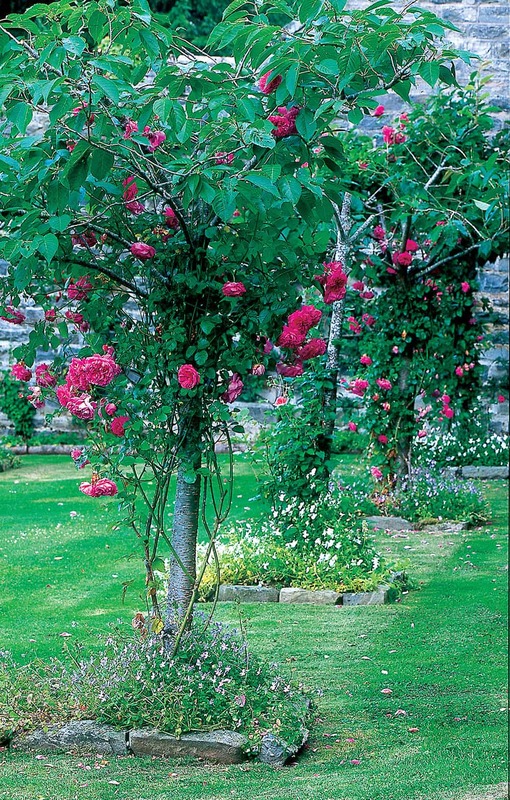 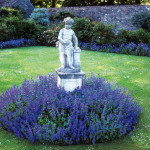 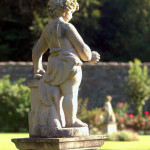 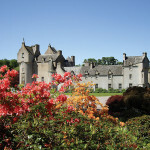 The Gardens are the pride and joy of the Laird’s mother, Clare Russell, and the Head Gardener, Giles Sumner. 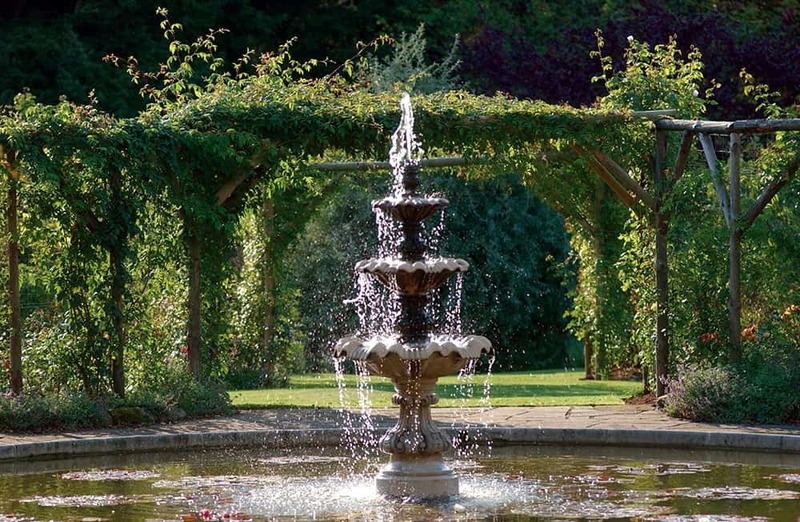 Although not blessed with the most ideal of climates to produce reliably horticultural firework displays, the Gardens have been planned to make the most of the soil and the landscape throughout the year! 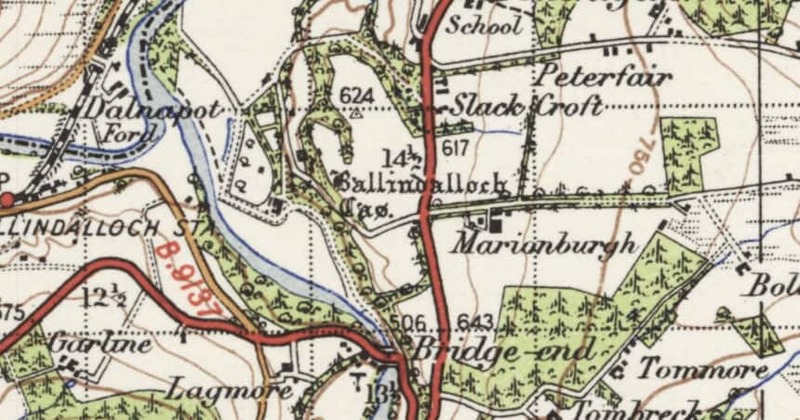 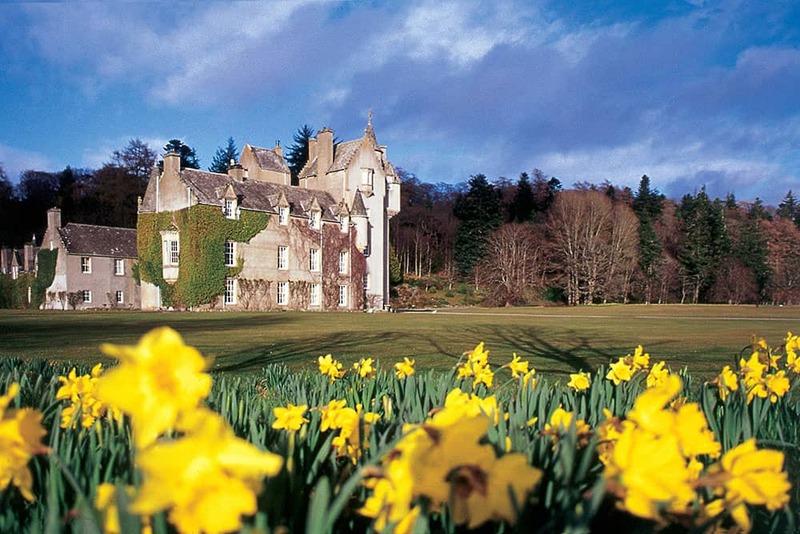 The formal grounds of Ballindalloch Castle were principally laid down in the second half of the 19th Century, following the extensive restorations to the Castle made around 1850. 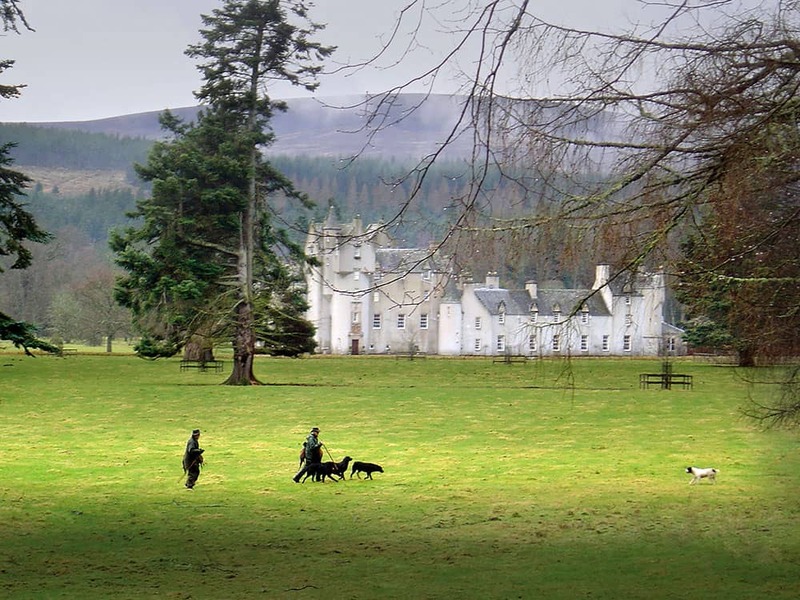 To the north and east the grounds are bordered by the River Spey and the rising gradients of Cairn Guish. 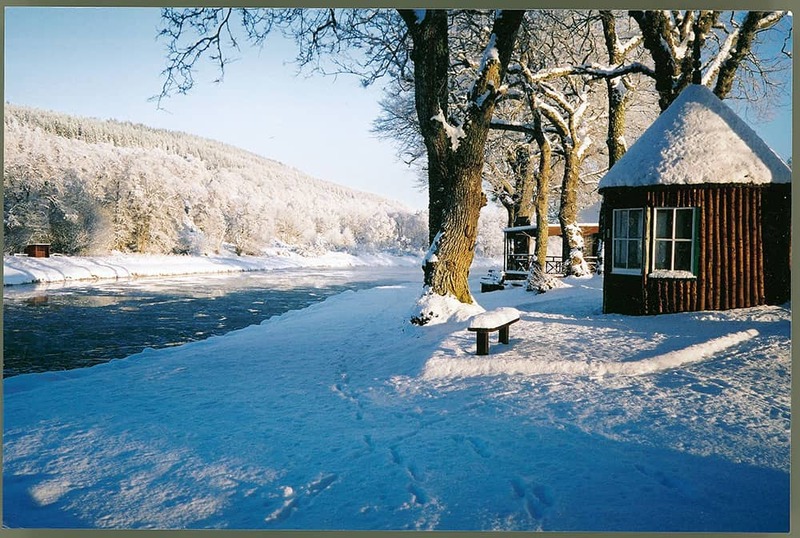 To the west lies the River Avon (pronounced Aan), its source on the summit of Ben Macdhui, with tributaries from the Cairngorms and Beinn Mheadhoin, and at 38 miles in length, the longest tributary of the River Spey. 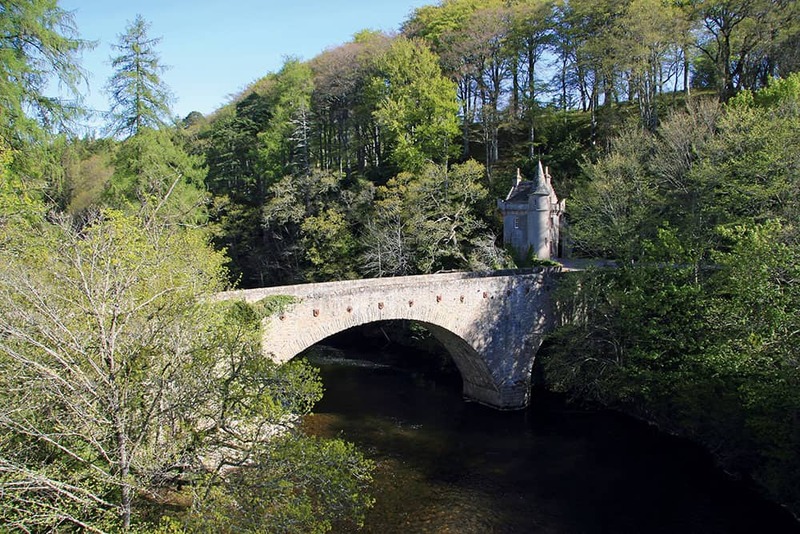 To the south stands the Bridge of Avon, dating from 1754, once the entrance to the Castle, once too a military road, built following the final subjugation of the Jacobite Rebellion in 1745. 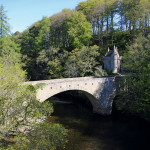 A remarkable structure, it is carved into the rocky gorge and consists of a lofty arch spanning two ornamental turrets. 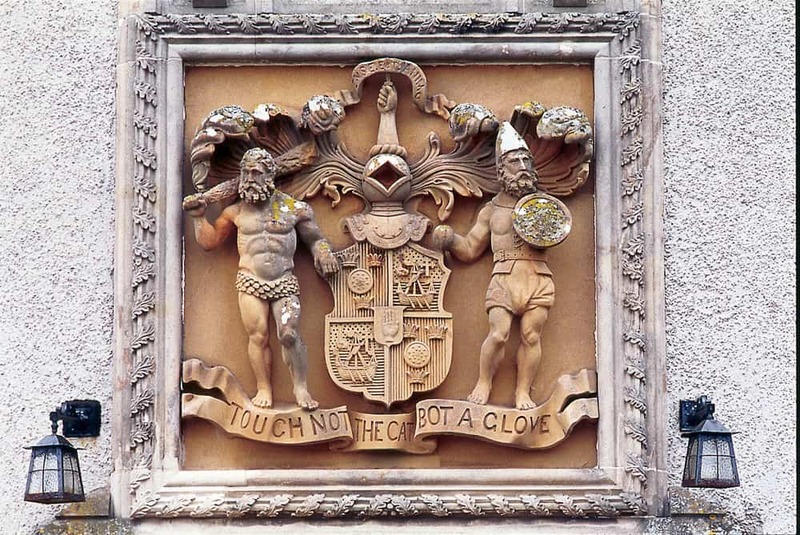 Although long disused, over the keystone can still be seen the Macpherson-Grant coat of arms and the family motto: Touch not the cat bot a glove. 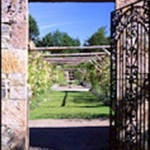 Today the visitor enters the Gardens by passing the 18th Century Doo’cot (or dovecote) and soon discovers that there are, in fact, three distinct gardens waiting to be explored. 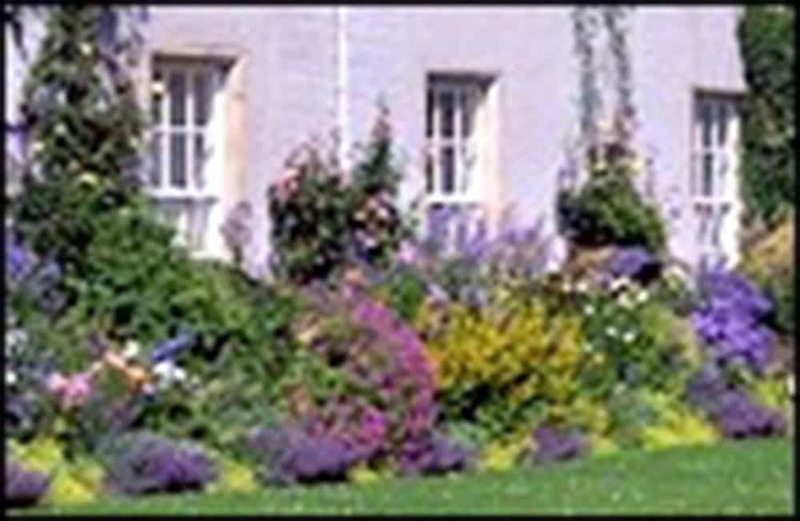 Beyond the large lawn extending from the front of the Castle lies the Rockery, climbing up from the lower slopes of the valley of the River Avon, and affording fine views of the Castle itself. 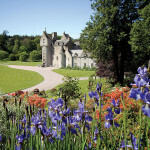 Adjacent to, and enclosed on three sides by the Castle, sits the Courtyard Garden, classically formal and hauntingly romantic. 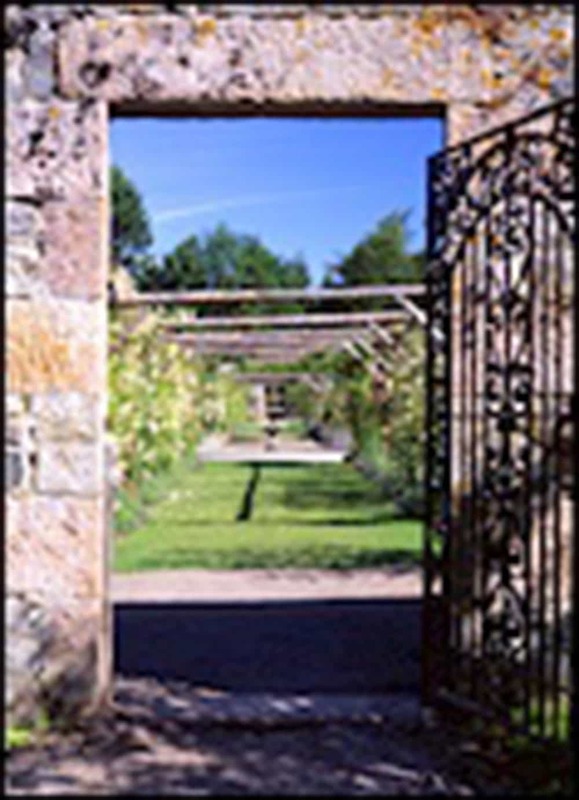 North of the Castle a laburnum arch and tree-lined avenue leads to the magnificent Walled Garden, redesigned in 1996 to celebrate the Castle’s 450th anniversary, and a profusion of colour and perfume all year round. 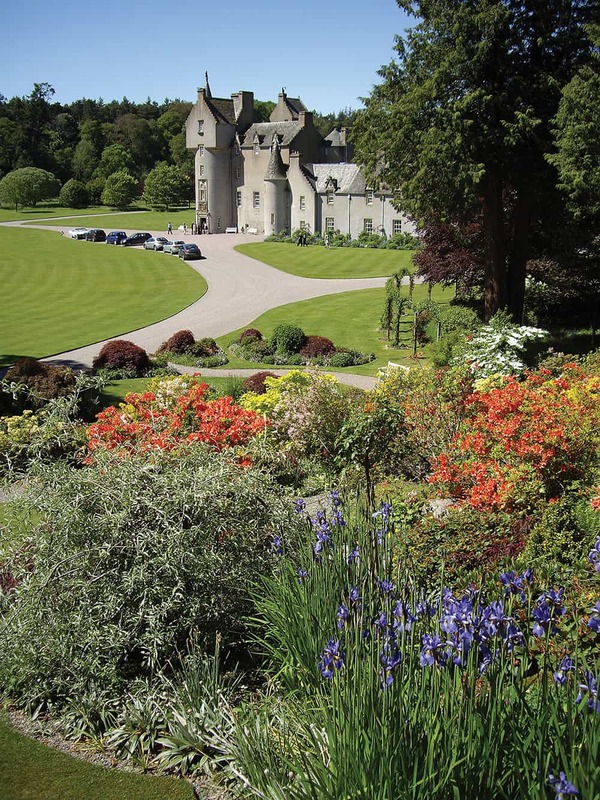 From the riot of daffodils in Spring to the Autumn roses, with the herbaceous border through the summer, there is plenty to see around the Castle all through the year. 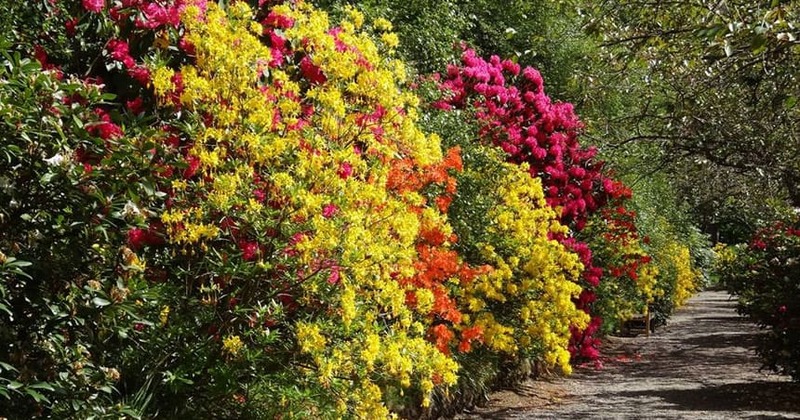 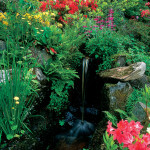 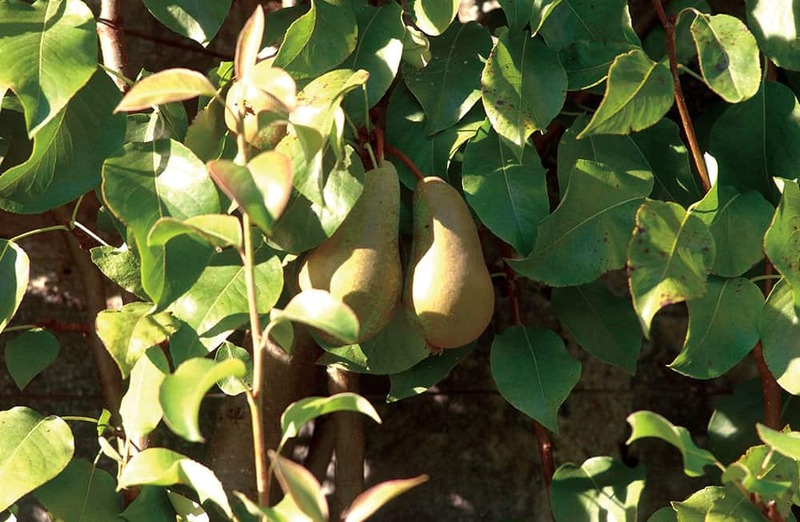 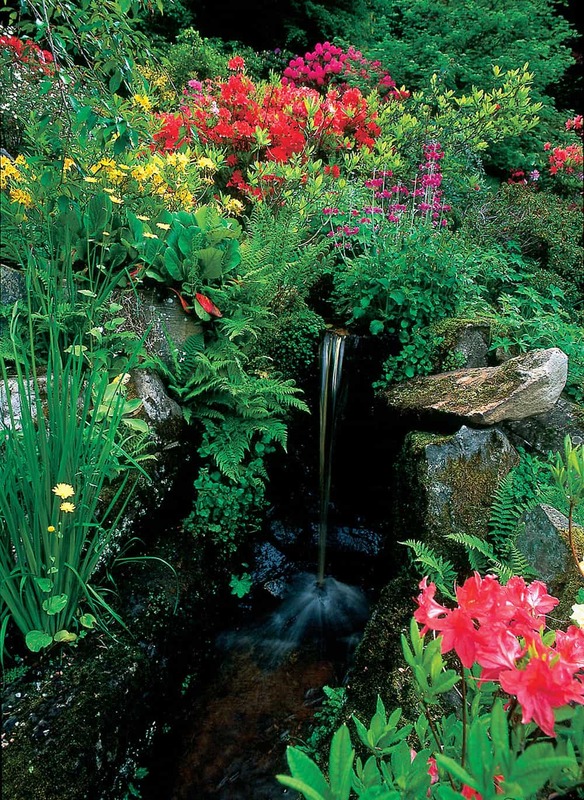 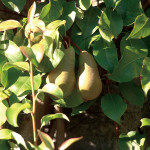 All three gardens offer a cornucopia of flora and fauna. 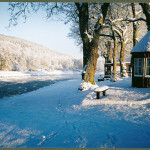 Red Squirrels darting here and there along the tree lined avenue; roe deer grazing along the banks of the River Avon. 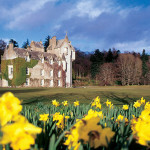 A visitor to Ballindalloch Castle during the Edwardian era recorded: “There seems wood and water everywhere [and] there are so many ornamental trees that one forgets for a moment that the castle is in the Highlands.” A century later little has changed; the gardens of Ballindalloch Castle still provide a welcome oasis amidst a wilderness of granite topped mountains and heather bound moorlands. 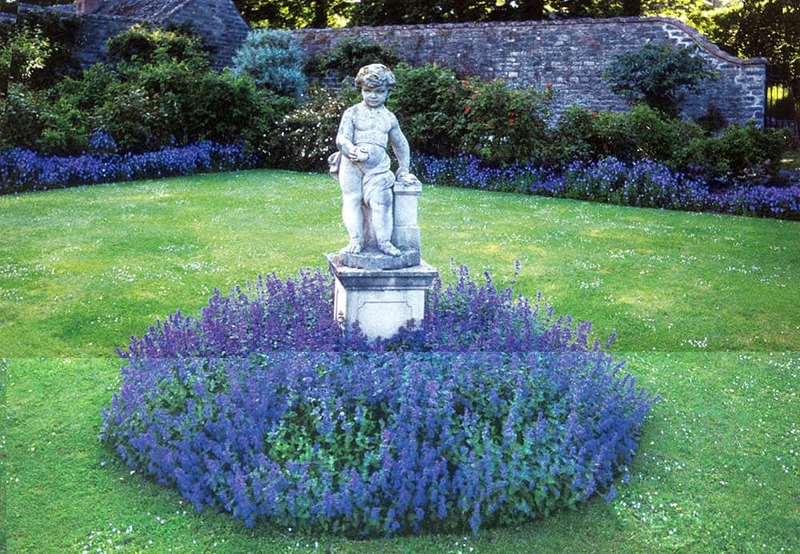 As a result of careful planning, the Gardens perform for the visitor all through the year. 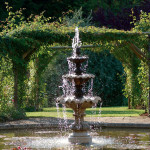 From the lovely rose garden to the majestic tree-lined walks, this surely must be the most memorable part of any visit. 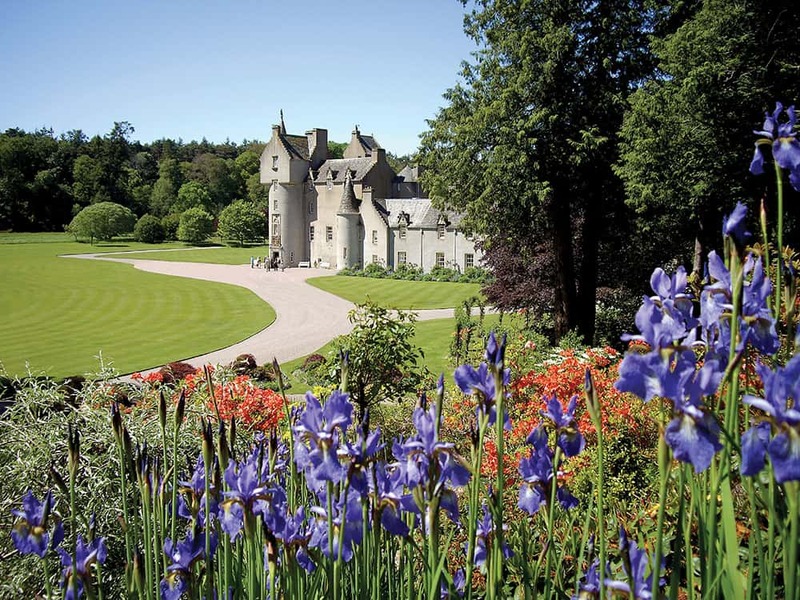 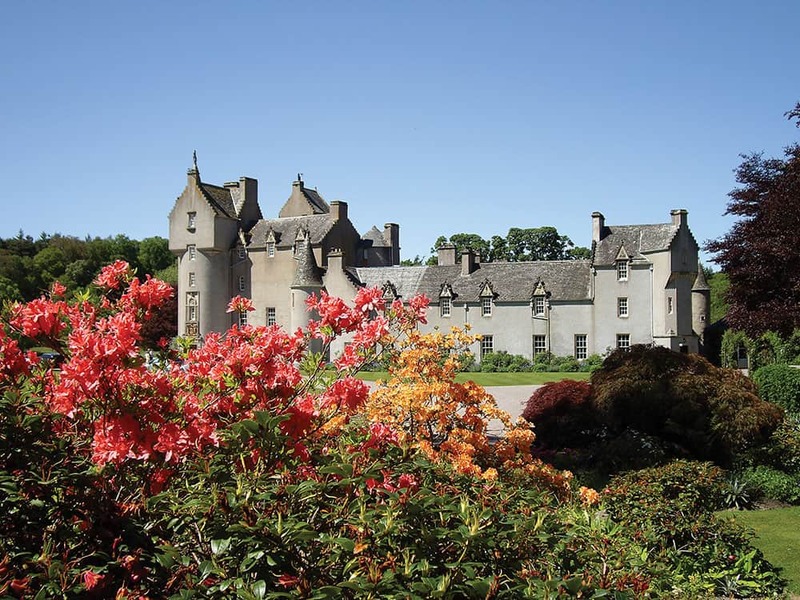 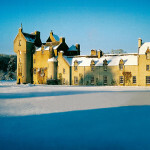 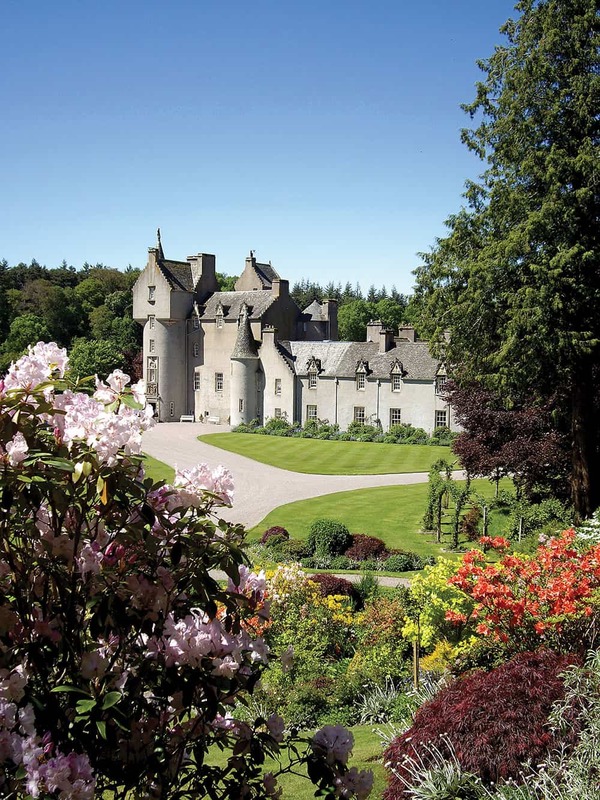 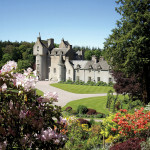 Ballindalloch Castle and Gardens sit at the heart of a multi-faceted Highland estate. 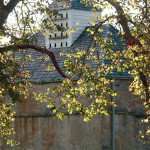 During the summer season up to 35 people are employed in the various activities. 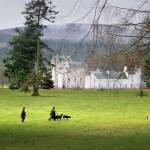 You will find out more details about the businesses that go to make up the family business at the Estate’s website. 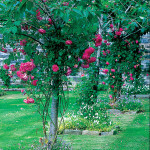 However, there are a number of elements of the Estate that bear mention here. 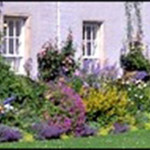 You can explore them by clicking the links to the right of this page.